Tuesday Trivia: How big was the first graduating class? Just this past weekend, some 1,228 students graduated from Cincinnati State. 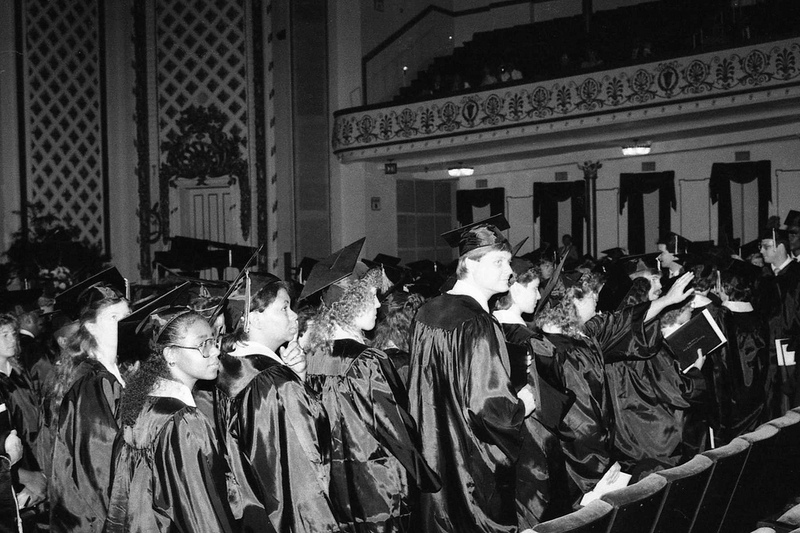 Do you know how many students graduated in the very first class at Cincinnati State (then called Cincinnati Cooperative School of Technology) in 1968? According to this News article from 08-21-1968, there were 71 students in that first class. We unfortunately don’t have the program from that first commencement here in the College Archives, but we do have the 1969 Commencement Program. (UPDATE: We now have a copy of the 1968_Commencement_Program). You can check out all our commencement programs. Congrats to all our graduates! You’re part of the Cincinnati State history books now.